What Is Imitation Crab Meat? 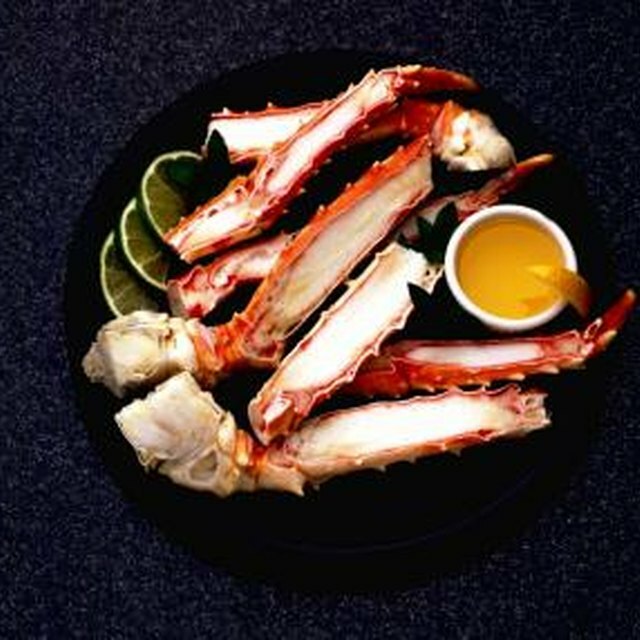 Imitation crab meat is a 250-million-dollar-a-year industry, which has only existed in the United States since the 1980s. Alaskan Pollack is used to make imitation crab meat in the United States, due to its abundance in the Pacific Ocean and its mild flavor. Asian manufacturers use other mild fish to make imitation crab meat, including golden threadfin bream, New Zealand hoki and white croaker. The Japanese have cookbooks with recipes for imitation crab meat (called kamaboko) that date back to 1528. A number of additives and preservatives are added to imitation crab to allow it to retain its shape and flavor during freezing, including: sugar, sorbitol, vegetable oil, egg whites, starch and artificial and natural crab flavor. The fish are caught, scaled, filleted, washed, minced, leached, sorted by color, pressed, then sugar and sorbitol are added. The product is frozen, then shipped to another plant where the meat is combined with other additives, cut into sheets, cooked, cut into strands and packaged. What Are a List of Foods That Have High Proteins in Them? What Are the Best Popcorn Kernels for Large Popcorn Machines?